Xpanxion, a custom software services provider experiencing strong growth, announces Michael Halbert has been installed as its new Vice President of Sales. Michael’s understanding of the Global Delivery Model and immersion in the Atlanta business community will be an asset to Xpanxion and the customers we serve. We are looking forward to Michael’s direction and contributions to our team. 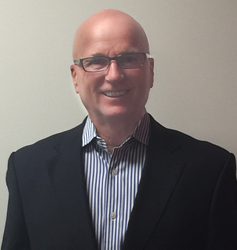 Xpanxion announced today that Michael Halbert has been named Vice President (VP) of Sales. Halbert will be based at Xpanxion’s corporate headquarters in Atlanta. With more than 20 years of experience in driving software service solutions for various technology organizations including Mindtree, Symphony Teleca, and Object Frontier, Halbert has built a reputation for a strong understanding of the business-technology interface, as well as an ability to successfully identify and align a customer’s emerging and existing product development needs with his company’s available solutions. An active member of a variety of Atlanta-area business and technology organizations, Halbert serves on four boards within Technology Associates of Georgia. Halbert is the founder and chair of Synergy Group, as well as a member of the Atlanta chapter of the Association for Strategy Planning, and Women in Technology. He also was the co-chair of the Sponsorship Committee for the 2008 Digital Ball and has devoted time to the Atlanta Police Foundation, the Northside Youth Organization, Boy Scouts of America, and Atlanta Junior Golf. Halbert earned a Bachelor of Science degree in Business Administration from Greenbrier College. Xpanxion provides custom software services to enterprise clients in a variety of industries worldwide. Its unique Cross Sourcing model - combining onshore and offshore talent in Agile development teams – allows Xpanxion to leverage the scalability and cost-effectiveness of offshore resources while meeting the quality and communication standards expected by its clients. Headquartered in Atlanta, Xpanxion operates five rural offices in Iowa, Nebraska, Kansas and Colorado, as well as an offshore development center in Pune, India. Xpanxion is a subsidiary of UST Global.